Purchasing and designing a new trade show display can be a daunting process, especially when you remember that your company will likely have to live with that display for the next several years. No pressure there! So how can you be sure that you’re choosing the right size exhibit — one that will perform well now and in the future? Here are a few tips for right-sizing your trade show display. For most companies, the cost of purchasing and customizing a brand new exhibit constitutes about 12% of their overall trade show budget. Calculating that number will immediately determine which types of displays you can afford and which are out of range (at least for now). 2. TAKE A TIP FROM THE COMPETITION. You’ve been keeping an eye on your competitors at previous years’ shows, so take a tip from them and use their booth size choices as a guide. If your closest competitor generally reserves a 10’x20’ inline booth, there’s no reason to break the bank by building an island exhibit. Your competitors have probably been doing this a long time and they’ve no doubt experimented with different booth sizes to achieve their target ROI, so why not use their hard-won knowledge to your advantage? On the other hand, while mirroring your competitors’ booth size is probably the smart move, you’ll definitely want to do whatever you can to make your booth interior look and feel completely different. There are lots of innovative techniques for increasing booth visitor engagement and making prospects want to hang out at your exhibit just a little bit longer. Depending on what type of business you’re in, you may envision booth visitors sampling new products, playing games, entering contests, enjoying a photo booth, watching a live demonstration, interacting with a multimedia kiosk, or getting customized quotes from members of your sales team. 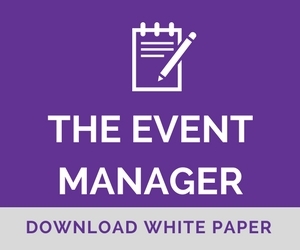 Defining your vision for attendee activity and booth staffer interactions and goals will help you to paint a mental picture of exactly how much space you might need. 4. KNOW YOUR OPTIONS … AND YOUR LIMITS. Every convention hall has its own rules, but the majority will offer more display options to exhibitors who reserve an island space versus an inline booth. Specifically, inline booths have more limitations as far as vertical space and entry/exit patterns are concerned. Linear Inline Booths: These are generally available in sizes of 10’x10’ (100 square feet), 10’x20’ (200 square feet) and 10’x30’ (300 square feet). These in-aisle booths are bordered on either side by other exhibitor booth spaces, with either a drape or your own custom backwall behind. Booth visitors have only one way in and one way out — from the front — but you can be creative with placement of banner stands and kiosks to direct traffic as needed. Inline booth displays are generally restricted to an 8’ height maximum, which means overhead structures are not allowed. In addition, inline booths may have sound and lighting restrictions to prevent one exhibitor’s display from interfering with another’s. Peninsula Displays: This type of display usually sits at the end of an aisle, so it’s open on three sides. Peninsulas run 20’x20’ (400 square feet) or larger in size, but they still have the same height, sound and lighting restrictions as their inline booth neighbors. Island Displays: The ultimate in flexibility, island displays are freestanding displays that are not connected to any other exhibits. Visitors can enter and exit from all sides, depending on how you lay out your components. At the majority of convention halls, island displays have few or minimal height restrictions, so overhead signage and even double-decker exhibits are encouraged. Exhibitors with island booths also generally have more flexibility with regards to sound and lighting because they’re located further away from other displays. Once you have a budget in mind, a vision for booth activities and traffic patterns, and a preferred booth size, consult your calendar and your exhibit supplier. Whether you’re building an all-new exhibit from scratch or simply adding a few new pieces, designing graphics, printing and manufacturing all takes time. And if you’ve waited until your exhibit supplier’s “busy season” (generally January through April) to place your order, it could take twice as long to get your finished display. If you still want to attend that big show with a brand new exhibit, it’s essential that you start planning early and build in lots of extra time for unexpected delays. Still need help? Contact us today and we’ll be happy to walk you through the options based on your budget, your timeline and your vision.